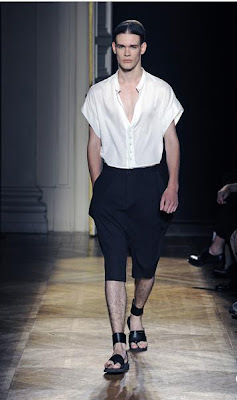 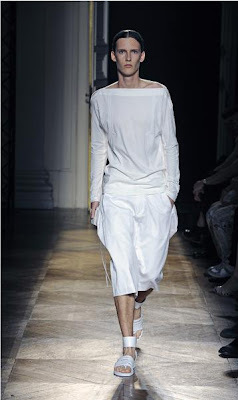 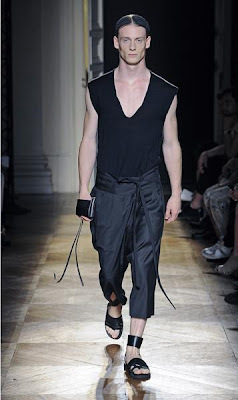 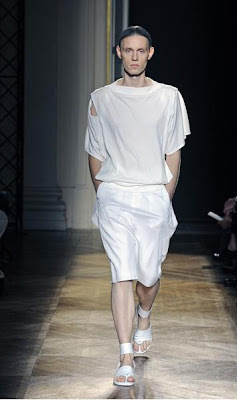 Last week I posted the summary of men’s spring/summer 2010 at Seoul Fashion Week. 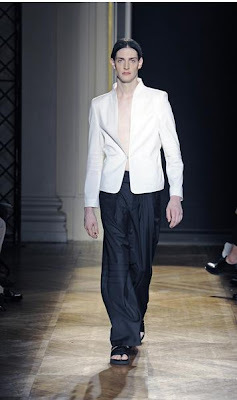 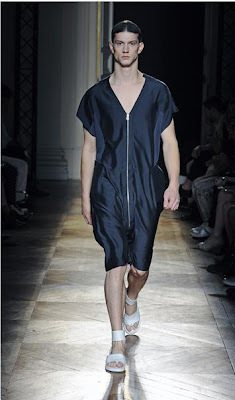 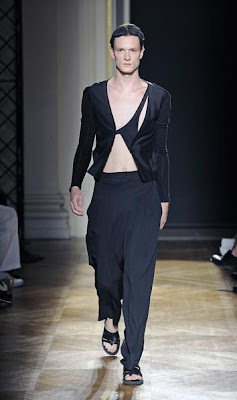 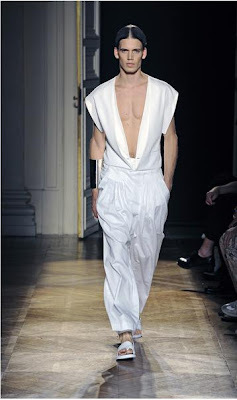 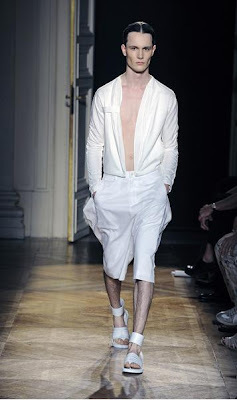 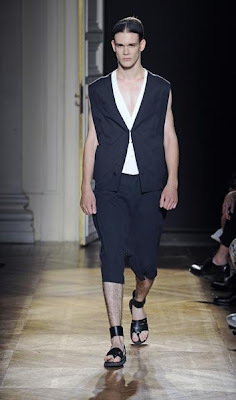 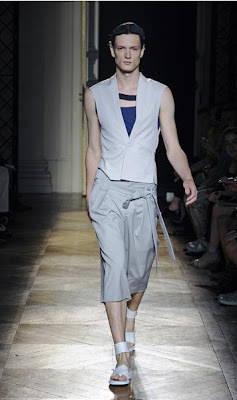 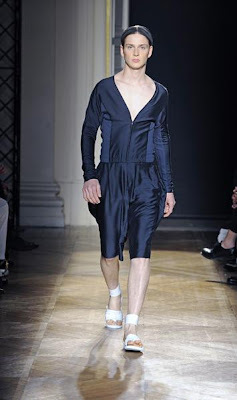 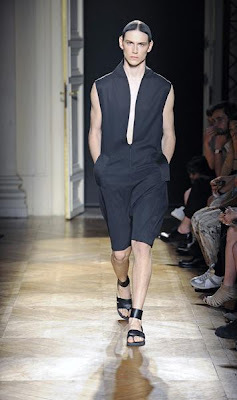 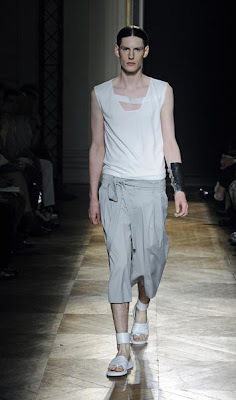 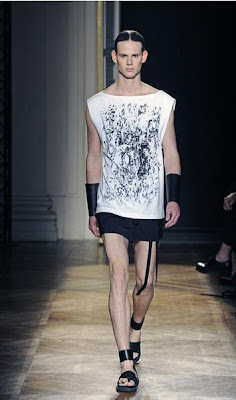 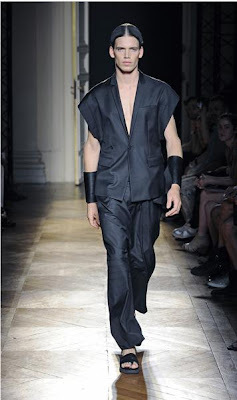 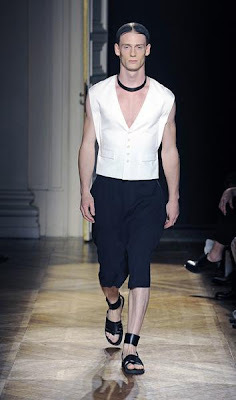 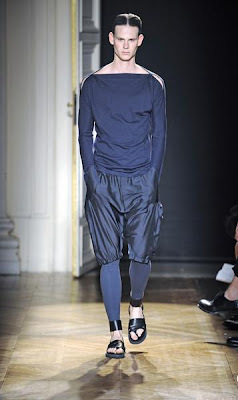 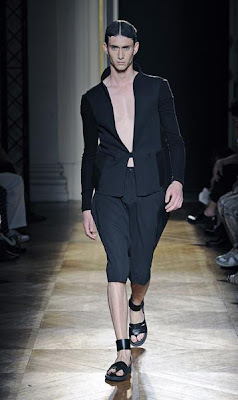 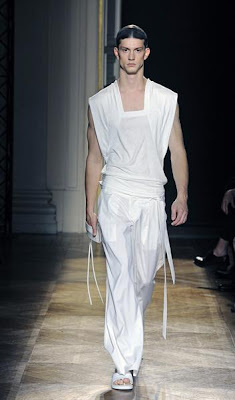 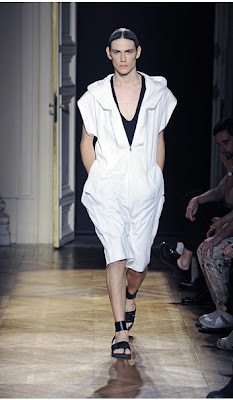 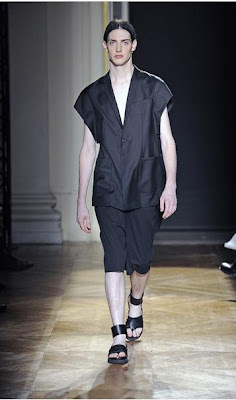 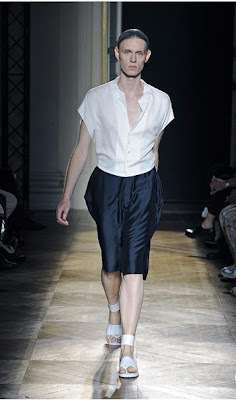 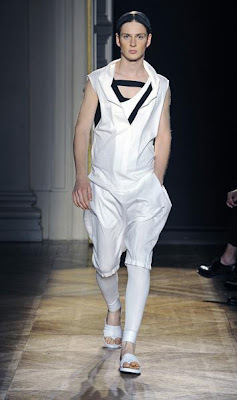 But here is Korean designer Zio Song’s complete spring/summer 2010 collection that he also presented in Paris. 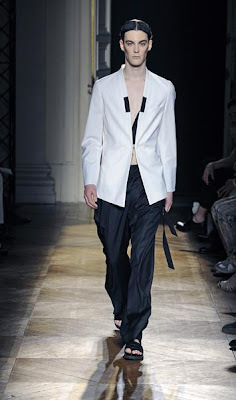 For this season Zio Song was inspired by black bubbled eye goldfish. 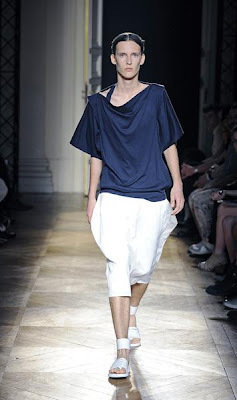 The drapery silhouette and the details was influence by the graceful movement of the fish and how it navigates itself in the water. 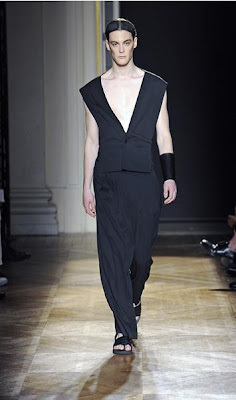 SongZio’s shoulders for this season are smooth with sporty details. 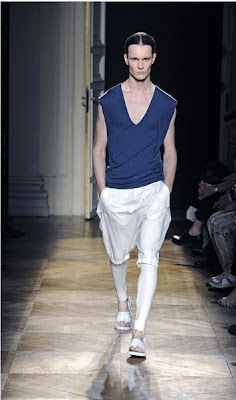 The details and texture on the pants and shirt are supposed to look like fish scales. 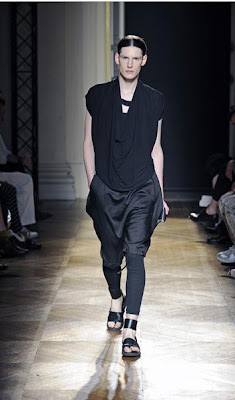 The colours are vivid contrast of black and white, silver grey and pitch-dark grey. 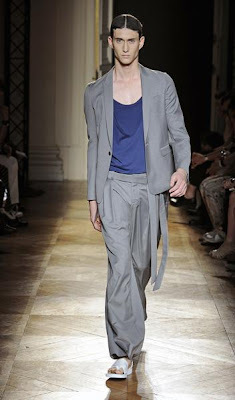 Monaco blue colour was added on the palette to add fun.